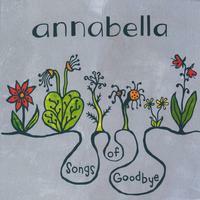 Annabella is not one person, but is the band name of Tim and Terri Dittmar, (husband and wife), from Georgetown, TX. Terri has a lovely voice that at times reminds me of Mindy Smith, especially on “You’re Still Laughing”. It was recording in their home studio, Las Olas, and the production is first class. The sound overall is very full and warm (as in, not tinny or lo-fi sounding which sometimes happens with home studios). This is a really good CD to just relax with. Sip a glass of wine, close your eyes and just let it wash over you. The only drawback is that the lyrics are not included in the CD nor are they on the website, at least I couldn’t find them. So that would be my only suggestion. Since I am usually very interested in what the song is telling me lyrically, I like to read along, but that’s OK. The music is so pretty, I’ll let it slide. Plus Terri is a clear singer so usually you can tell what she’s saying. Stand out songs: Lost you, You’re Still Laughing, See You Again. But if you like one, you’ll probably like them all.